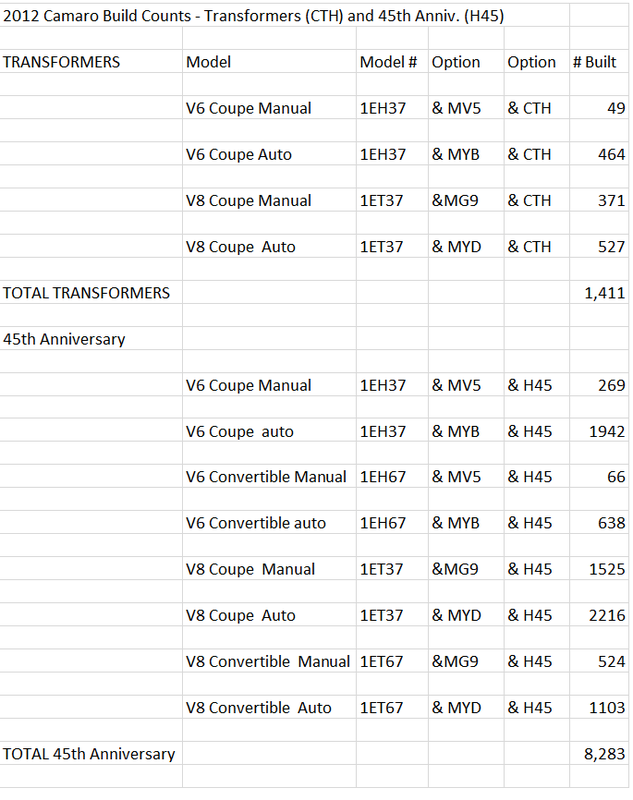 Fbodfather Releases 2012 Model Year 45th and Transformers Build Counts. 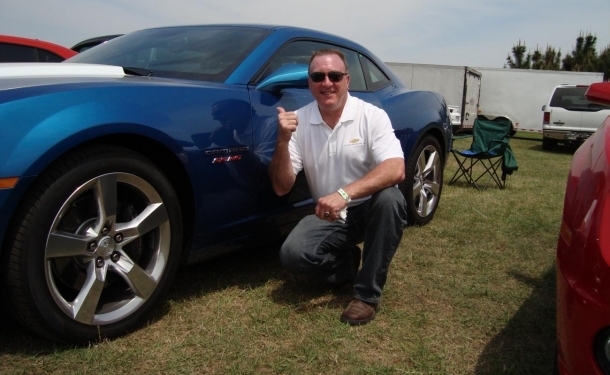 Some of you have asked for the build numbers for the 2012 45th Anniversary Camaro as well as the 2012 Transformers Camaro. This includes all Domestic and Export and Company Owned Vehicles — essentially any Camaro that was given a VIN at Oshawa with either of these options. Please feel free to share this with your fellow Camaro Enthusiasts – especially those who own a Camaro with one of these options. Unfortunately I cannot break down build combinations below this level.